Three Danish soldiers have been wounded in Afghanistan as their vehicle is hit by an improvised explosive near their Forward Operating Base Armadillo in the Helmand province. A further three soldiers received minor injuries during the extraction of their injured colleagues yesterday afternoon, but the spokesman said two had already resumed their duties and the third would soon follow. 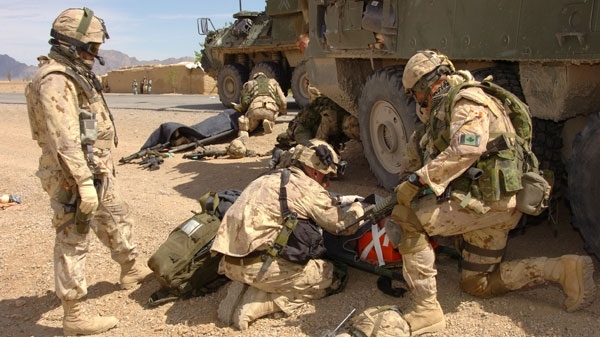 The three soldiers injured in the explosion received first aid on the scene before being evacuated to the field hospital at Camp Bastion. An army spokesman said the three, who are from the Royal Lifeguard regiment, would be flown to Denmark in the coming days for further treatment. Their situation was not life-threatening. Relatives of the injured soldiers have been notified of the incidents.